We provide a variety of cloud services to small and medium businesses in the Madison area. Most all of these services are paid for with a monthly fee for services. Cloud computing provides enhanced and simplified IT management and maintenance by using central administration of resources. You have no large cash outlay, you pay as you go. We assist you with Google G Suite, Microsoft Office 365, DropBox and others. Other services include Voice over Internet (VoIP) telephone systems. 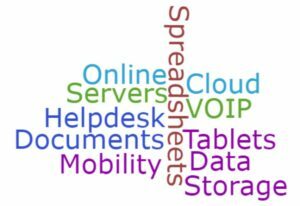 We plan and implement VoIP along with desktop computer help desk assistance through strategic partners. All of these solutions rely on reliable high speed internet service to your business location. And we can help with your internet service as well. 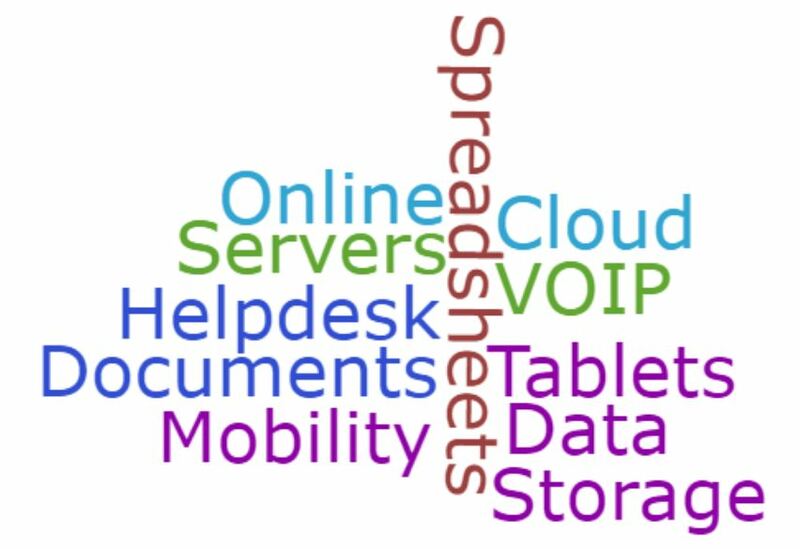 Cloud solutions provide a number of benefits. Eliminate the need for in-house IT technicians and help desk. Technical infrastructure costs will be reduced. Allow you and your employees to work in house or remotely to access files, email, word processing, spreadsheet, and presentation applications. Allow your employees to collaborate online. You can use any device to log in, including your laptop, smartphone or tablet. Allow for collaboration among a offices that are not located in the same physical space. Say you have offices in more than one city. Your costs will be lower as you buy just what you need. The services are scalable. As your business grows, cloud services have remote servers. When you add more employees, you just add more users to your accounts. Most cloud providers guarantee 24/7/365 and 99.99% availability. Cloud computing is more reliable and consistent than having an in-house IT infrastructure of servers and storage devices. How do you get started and should you even consider shifting to the cloud? Contact us with your questions. We're here to help.